Publicity in Orange County doesn’t really get as much recognition for those pr agencies, pr clients as it should. 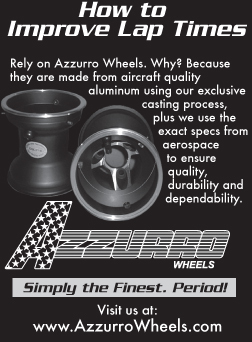 For example, we recently were awarded the complete publicity, marketing and advertising for Azzurro Wheels based in St Charles, Illinois. The company, not being a major consumer product, makes Publicity in Orange County for our company limited to only pr clients that are national in the sense of name recognition, not national in scope. The new client, which sells to the go-kart industry, manufactures different racing wheels for indoor and outside tracks for go-karts. Not a big impact for the general awareness, but big enough in the karting industry. We began the campaign by developing a theme “Simply The Finest. Period.” with a new fractional page ad. This is being enhanced with a web marketing plan to get more customers to visit the web site. We also created the company’s web site. In addition, we will be doing press releases, publicity press kits, negotiate pr articles, and will be responsible for all the marketing and advertising materials for the company. When someone mentions the words “Publicity in Orange County” you think of only a few companies. That’s even true with Ad Agencies. Why? Those few get press becasue they may work with a larger, nationally known branded company. Yet, many successful publicity and advertising agencies are in Orange County. There are different organizations and clubs that pr clients, pr agencies, and ad agencies can join. One for example is the OC Ad Club. Another, for those in publicity in Orange County you can join the Orange County Public Relations Society of America (OCPRSA).